When the owners of the Stanstead bungalow wanted to create a room to enjoy their garden and to extend their living spaces, they knew they wanted something that would be adaptable to their needs. They needed a bespoke solution that would not only give them the space they needed, but that would enhance their home and their lifestyle. So they turned to the Cambridge Conservatory Centre for advice. Their brief included the desire to be able to make the walls disappear so they could feel as if they were sitting under a cabana. But they also wanted windows that would provide ventilation on days when the weather didn’t allow them to open the doors. 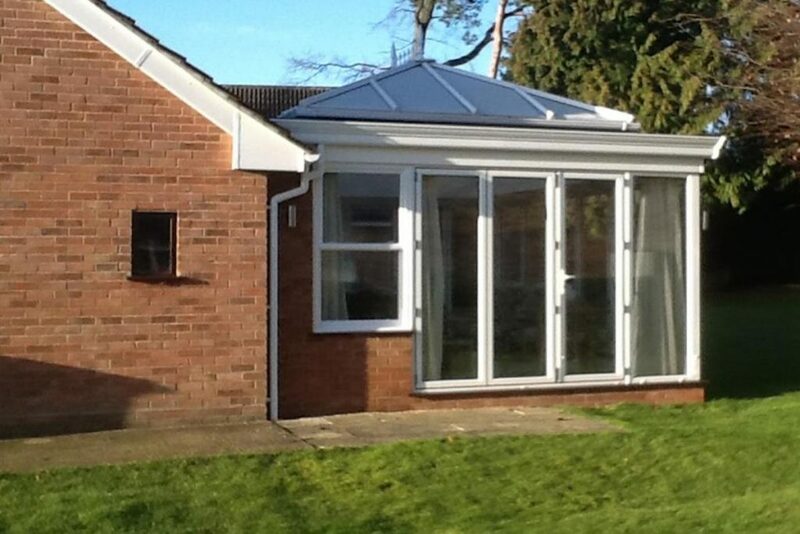 And they wanted a fully insulated solid roof for year round temperature control. The first step was to match the brickwork of the existing house to build side walls and a base for the new Stanstead Orangery. Glazed corners provide the necessary structural strength to support the roof and a set of folding doors was added to each of the three glassed sides. 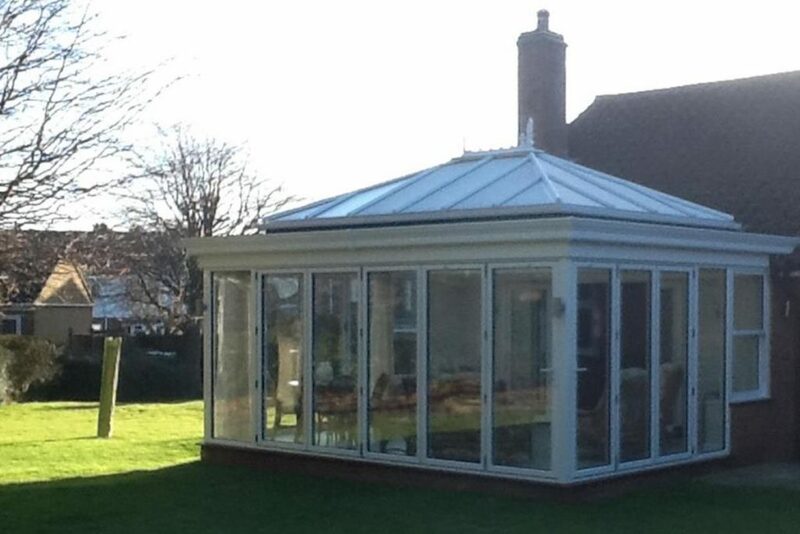 Using a lantern roof design with finial detail, we finished it with zinc instead of the usual glass giving the owners everything they asked for. 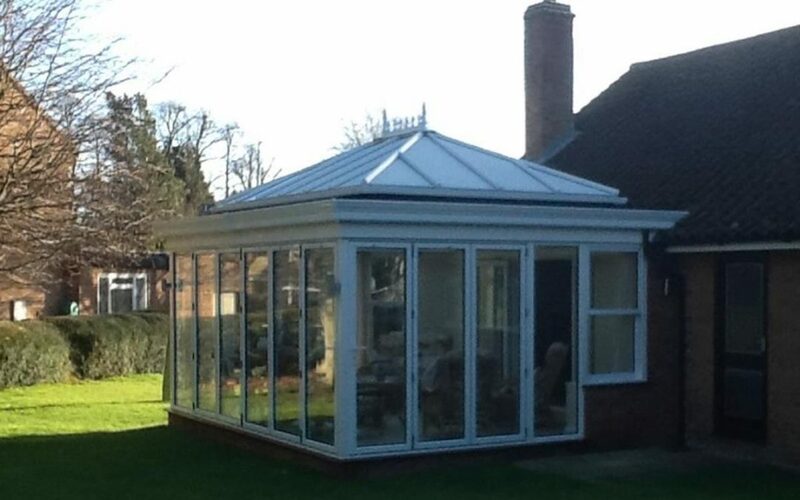 Now that the Stanstead Orangery is finished, it really makes a statement. Sitting proudly against the original brick bungalow and opening to allow the outside in, this Orangery has given the owners a wonderful space to enjoy their garden each and every day of the year.